Founder of Lixir Skin, Dr. Colette Haydon says her products are blended with "active ingredients that I know really deliver." 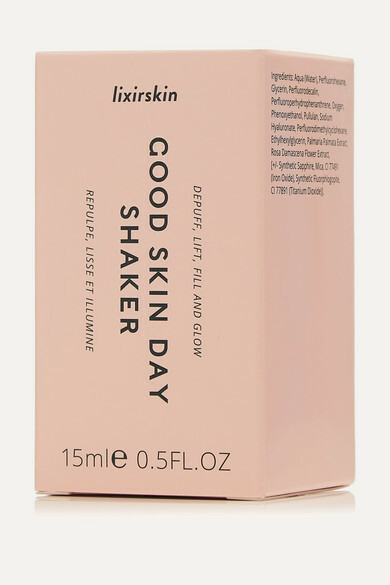 Designed to both reduce puffiness and the appearance of fine lines, this 'Good Skin Day Shaker' is a bi-phase formula that tackles both once it's shaken together. It combines Hyaluronans and algae-derived minerals to de-puff and reduce dark circles, while Oxygen-packed carriers tackle crepey eyes.